Andrew Warden, affectionately known as "Wardo" or "Big Red", is 32 years old and a Principal at Garvin & Cousens since joining the team in 2011. 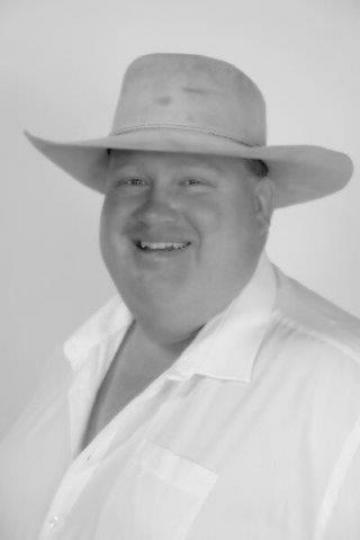 Andrew grew up in the Tamworth area, being a Loomberah native, and attended Nemingha Primary School & completed High School at Farrer Memorial Agricultural High School, graduating in 2003. Whilst at Farrer, Andrew was a member of the first Uni Shield Rugby League winning team (playing 5/8) and was a keen sportsman whilst also possessing a strong passion for the livestock industry. On completion of school, Andrew undertook and completed a traineeship with Elders for 7 years, in various locations including Moura, Quirindi & Mudgee. After completing his traineeship, Andrew's first agency start was in Yass, being there for 3 years, before moving to Gunnedah, living and working there for a further 2 years. Andrew won the NSW and Australian Young Auctioneers Competition in 2010/2011 at Sydney Royal Easter Show, scoring himself a trip to Canada where he competed at the 2011 Calgary Auctioneers World Competition, placing 9th out of 19, competing against many auctioneers from around the world. Andrew is married to Hayley Ann and they have two sons, Buck Walter and Maverick Rex. Wardo enjoys hunting, footy and 1kg rib eye!! !